6. 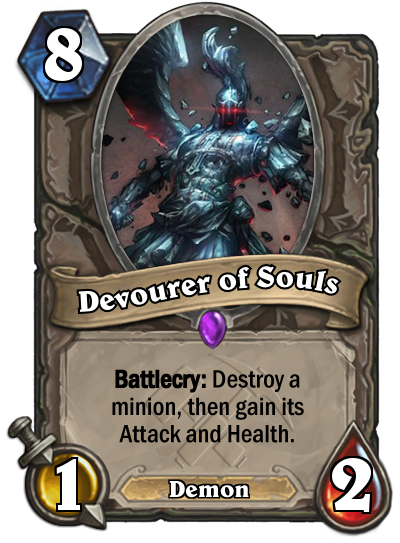 Or has Battlecry/Deathrattle/Inspire/whatever other Keyword. 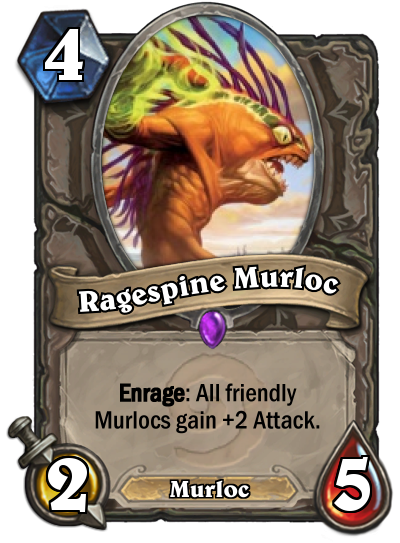 Stats for the cost are better than those of an Boulderfist ogre. 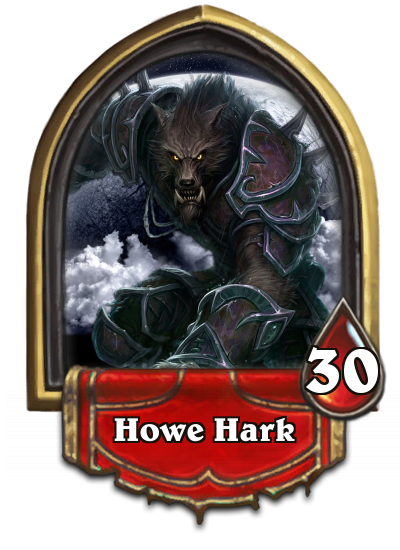 So this one, "older brother" of ogres a bit bigger and a bit reckless. 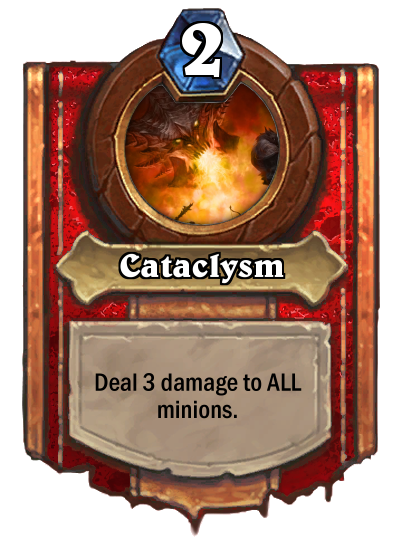 Not always a bad thing for a Warrior. This is going *burp* to be amazing! 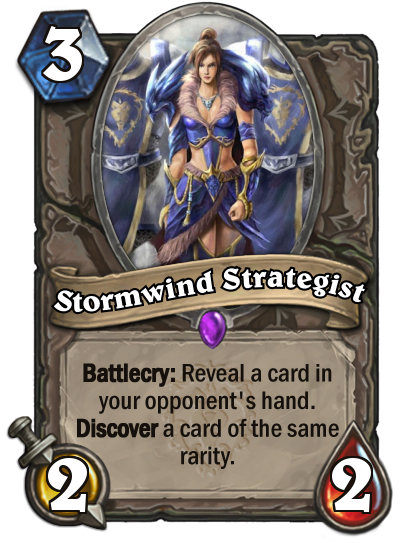 Vote for Stormwind Strategist in this weeks' Card Design Competition. Click the image or HERE for full view. 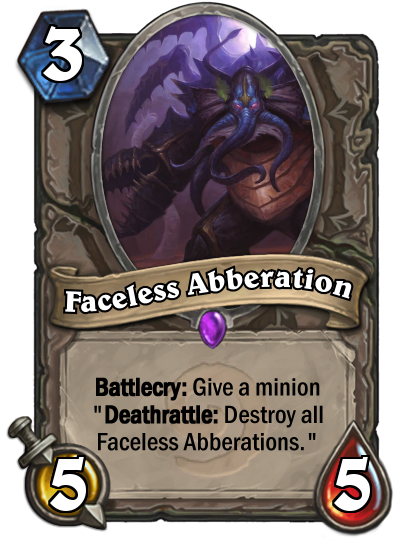 That's a tricky one, but I think this is decent. 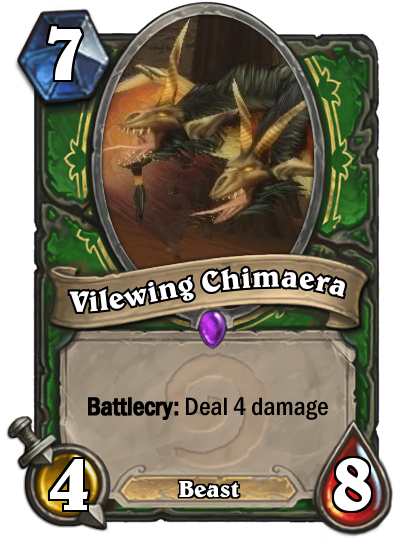 Next up, 5 mana 6/3. 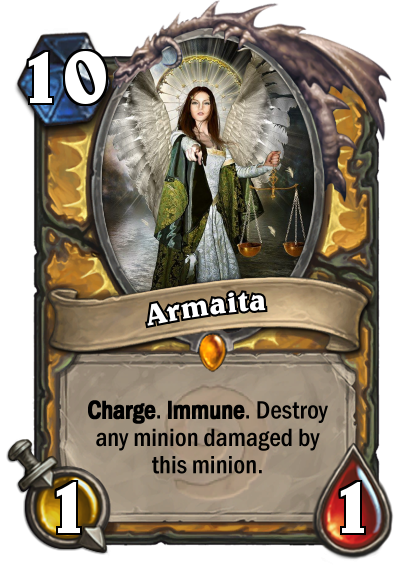 Angel that will be awesome if the meta slows down. 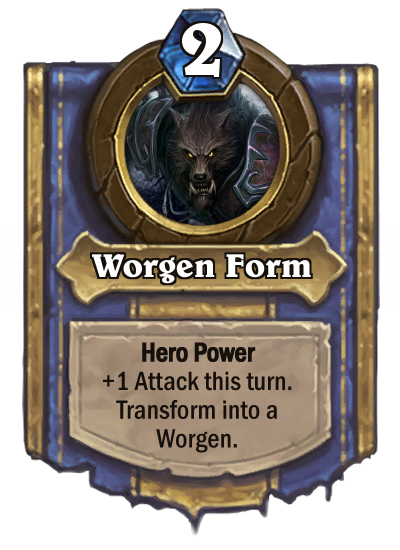 Is it a power creep on Mogu'shan Warden? Yes. 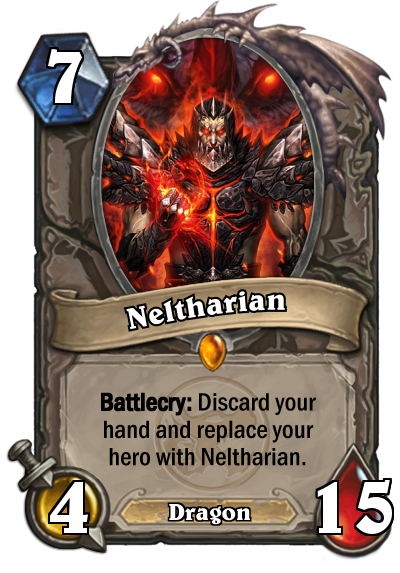 But it's a class-specific card, and on your turn it's exactly the same. 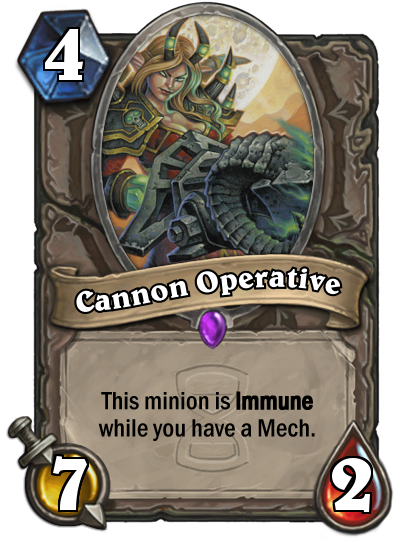 I'd imagine this would be pretty good in Mech decks, and 7/2 stats for a 4-drop are pretty great if it has Immune. 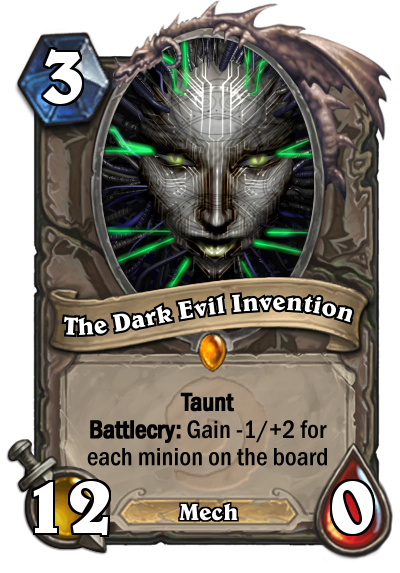 But I think this works, and it has the potential to be crazy good. 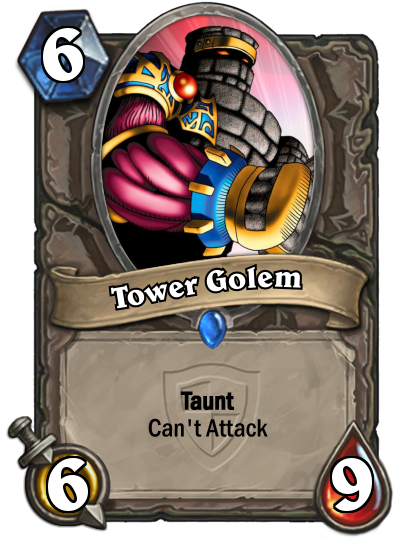 Note, it will round DOWN (at 5 Health left it gains 2 Health). 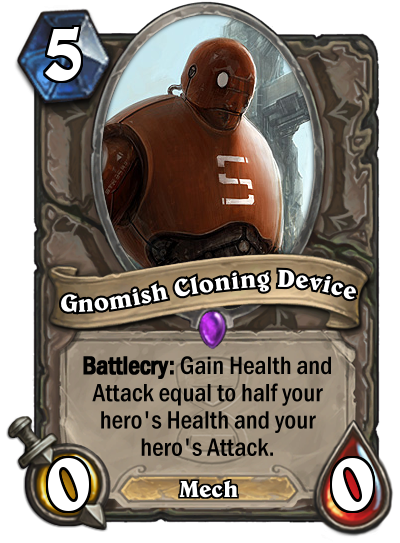 Hopefully I didn't mess up my Hearthstone science. 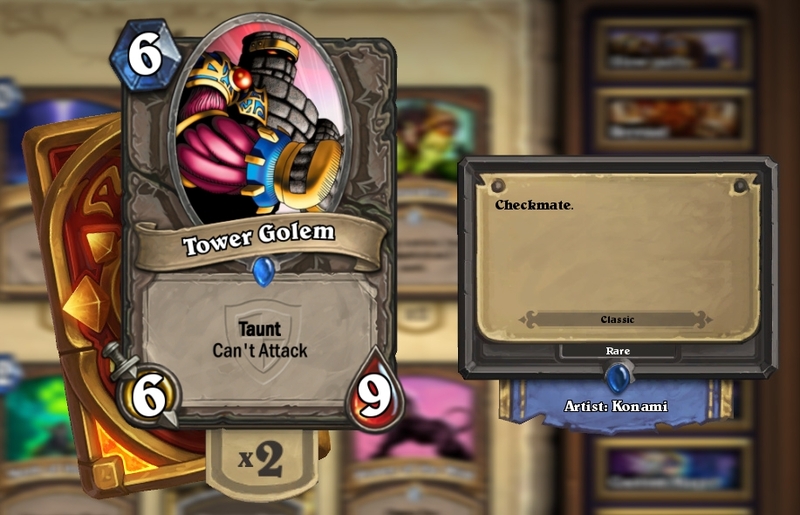 Next Up: Two can play at that game. 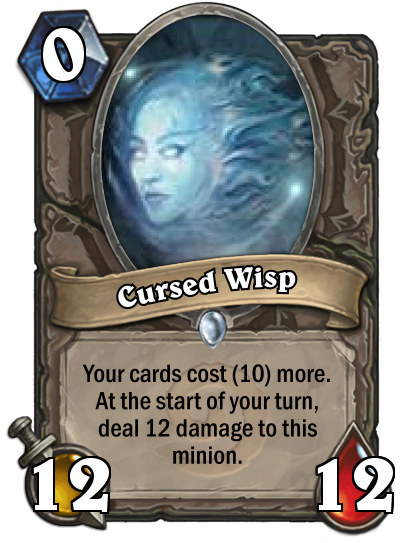 3-mana 12/0. 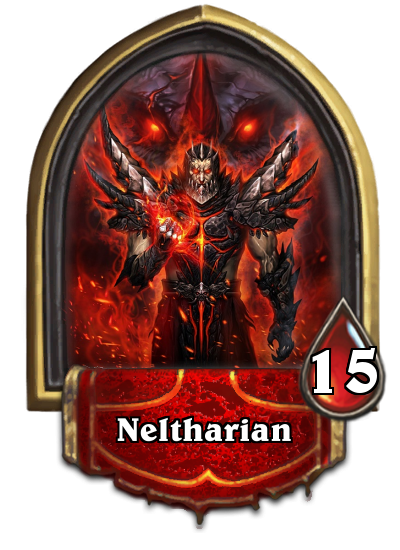 Thats superop xD but here it doenst matter. 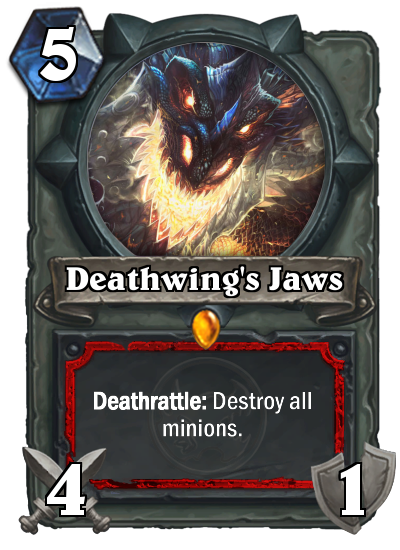 I feel like that's a little OP -- it has the potential to be an 11/2 for 3 mana if there's another minion. Maybe -3/+1? 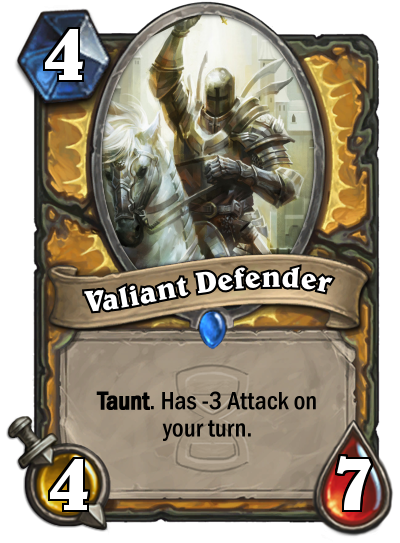 So if there's three other minions then it's a 3/3 with Taunt, if there's two other minions it's a 6/2 with taunt, etc. Anyway! 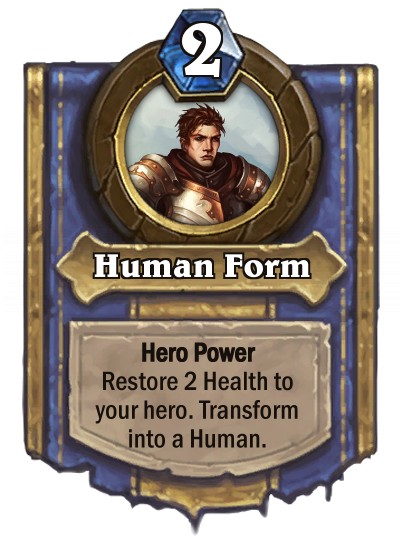 Considering you asked for 15 Health, I figured I'd do a replace-your-hero-with minion. Here he is.